There are loads of activities that Scouts take part in and there’s more going on than learning how to tie knots and making campfires – although you’ll still get chance to do that too of course! You can take part in activities ranging from kite making and gliding to visiting air fields, rock climbing and archery. You can also take to the water with water sports, canal boat expeditions and more. It’s not all just outdoors activities either; Scouting gives you the opportunity to have a go at things like computing, electronics and amateur radio. You can also get creative with fun activities that you might not have thought about doing before, such as circus skills, sculpture, photography and street art. A big part of traditional Scouting is camping, and there is still plenty of opportunity to enjoy camping as a modern day Scout. As well as traditional camping, nights away with The Scouts can include overnight expeditions and hikes. In addition to the fun activities to take part in, Scouting is about helping out in the community. Scouts work towards a Community Challenge Award, which involves taking part in some form of voluntary local community service. This might be fundraising, gardening, recycling, helping with activities for younger children or taking part in environmental projects, to name just a few. As a scout, you will also be able to work towards Activity Badges, which can mean learning about anything from first aid to animal care. Have a look at the Scouts website http://www.scouts.org.uk/ to find out more about Activity Badges and Community Challenge Awards. Working towards badges and community awards in The Scouts is a great way to build up skills that might come in handy in other areas of life or help you in your future career; whether it’s learning how to better communicate with a wide range of people, or picking up skills like cooking or gardening. And the amount of fun physical activities on offer to Scouts means that you’ll probably find yourself getting fit too! Scouting is for anyone aged 6 to 25, whether you are a boy or girl and whatever your faith or background. There are also scouting opportunities for disabled young people and young people with special needs. If you are disabled, you can still become a Scout. ‘Agoonorees’ are camps specifically designed for disabled Scouts. They are usually held during school summer holidays and allow disabled Scouts from all over the country to participate in some fun Scout camping. There is also no reason you cannot work towards the same Scout badges as other members if you are a disabled young person. The Scouts aim to be flexible and to give all members the chance to participate and work towards badges. If your disability means you cannot do all the same things as other members to earn your badges, The Scouts offer flexibility to help you achieve your badges in other ways. If your disability means that mainstream Scouting is not for you, you can still join in. The Scouts have a network of Special Groups that offer Scouting opportunities to young people who would otherwise not be able to take part in Scouting. You can find out more about Scouting for disabled young people by reading the Special Needs pages on ScoutBase UK found at www.scoutbase.org.uk/ps/sneeds/. The Scouts actively encourage young people of all backgrounds and faiths to participate and interact. If you want the chance to socialise with other young people, take part in a range of fun outdoors and indoors activities, learn new skills and work towards awards and badges, then Scouting could be for you. All you need to do to join is visit the Scouting website and fill in the online form. Remember that there is a cost involved in Scouting, around £50-£100 per year, and you will need to get permission from your parents or carers if you are under 18 years of age. Depending on your age, there are different areas of Scouting you can join. Beaver Scouts is for 6-8 year olds, Cub Scouts is for 8-10 ½ year olds, 10 ½ – 14 year olds can join as Scouts and 14-18 year olds can become Explorers or Young Leaders. What else do I need to know about Scouting? Scouting is a 100 year old organisation and has over 28 million members across 216 countries. Girls and women make up about ten per cent of the organisation and there are more females joining all the time. Even if you were never a Cub, you can join the Scouts – you can take up Scouting at almost any stage and you don’t need to join from the beginning. Compared to many other extra curricular activities, Scouting is great value. With weekly activities including canoeing, archery, climbing, caving and karting, £50-£100 per year offers extremely good value for money and is less than a single music lesson would cost. Lots of famous people were once Scouts, including David Beckham, Paul McCartney and Stephen Spielberg, so you’ll be in good company if you join! You can find lots of information on joining the Scouts, Scouting news and scouting activities on the Scouts Association official website: www.scouts.org.uk. 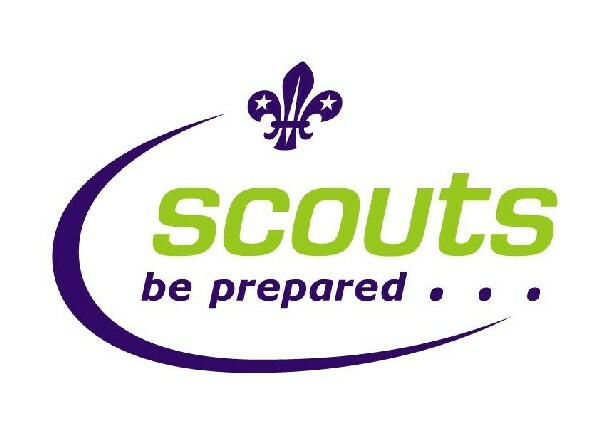 www.scoutbase.org.uk also has lots of resources from The Scouts Association and for worldwide Scouting information.